This past week, internationally respected Chief Economist Mark Zandi of Moody’s Analytics stated that the world economy is “highly likely” to enter a recession if the United States and China can not reach a trade agreement to end the trade war in three months or less. He based this prediction on the “extraordinarily fragile” business sentiment. It has resulted from the lengthy tariff and trade war between the world’s two biggest economies that began last year. It is a stark warning that you need to take seriously. It is time to prepare measures to protect your retirement portfolio with IRA-approved gold. In today’s international climate, Gold makes sense in an IRA now more than ever. 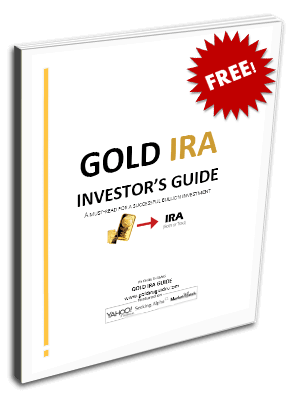 Now you need to consider the gold IRA rules and regulations. Zandi is not merely speculating either. He also offered as supporting evidence the Moody’s recent survey that business confidence for international companies reached its weakest point since the conclusion of the Global Financial Crisis about a decade ago. Zandi warned that if these ongoing talks were to break off without a satisfactory concluding trade deal, this would surely harm deteriorating business sentiment still more. Companies would decrease their hiring as a result. Consider yourself fairly warned ahead of the imminent danger. Another risk threatening the world economy lies with the possibility that Great Britain will exit the European Union (in the next two months) without Parliament approving the withdrawal agreement. This past week, lawmakers in London once again could not break out of a deadlock on the nations’ impending departure from the economic and political block. Although Parliament already has three times defeated Prime Minister May’s divorce deal, they can not agree on a credible alternative despite holding two series of indicative votes. Now the critical Brexit deadline is only a matter of days away. Mark Zandi sees policymakers in the U.S. also getting nervous about the economy, but he thinks it is too soon for the Federal Reserve to start justifying an interest rate cut. He notes that there are already calls for the United States’ central bank to do just that. As one example, the White House’s Top Economic Advisor Larry Kudlow stated in the past week that it is time for the central bank to “immediately” slash interest rates by 50 basis points. He was not the first to state this either. Fellow Stephen Moore of the Heritage Foundation (who has been mentioned for an upcoming Fed position by U.S. President Donald Trump) took a similar stance as Kudlow earlier. Admittedly the Fed had just decided it would maintain steady interest rates, but it did cut the Fed’s forecasts for American inflation as well as economic growth. The Fed similarly cautioned about slowing growth out of both Europe and China. “I’m not sure why the Fed needs to go into panic mode here.” Latest economic data still paints a picture of a healthy United States’ economy. Wage growth is strong and the official unemployment rate remains near a 50 year low, with inflation approaching the two percent target of the Federal Reserve. Zandi fears that reducing interest rates in these conditions could prove to be “counter-productive” as it would only “juice things up.” This in turn encourages all economic participants to add still more debt to the already debt strapped economy. Zandi is concerned about this risk of growing debt within the U.S. with good reason. He had already earlier warned about it last year. As Zandi cautioned you in 2018, “over-borrowing” from companies will become a problem that could push the economy into a recession. This is the latest set of warnings for you to take stock of with your retirement portfolio. Mark Zandi is alerting you to a trifecta of legitimate global economic concerns. These include a debt build up in the American system that is not sustainable at the same time as he also warns of the dangers of a global recession from the U.S. and Chinese continuing trade war and tariffs battle and the risks to the world largest trading block and global economy from a disorderly Brexit. The troubling real question is which of these three dangers to hide your assets from first. Now is the time to take defensive thoughts for your investment and retirement portfolios. You can start adding gold to them even just gradually by buying gold in monthly installments. The IRS will now allow you to stockpile your gold in top offshore storage locations for IRA gold. Be sure to consider Top Gold IRA Companies and Bullion Dealers before you decide from whom to buy your gold. Do not delay until the danger is already upon you.